In our ongoing efforts to redesign, reengineer, reimagine, and relaunch Chargify’s invoicing tools, we have two exciting updates to announce: one-time invoices and the Relationship Invoicing™ open beta launch. Both of these announcements get us closer to our ultimate invoicing goal for our customers. Keep reading to learn how you can configure and benefit from these updates today, plus a look at future enhancements on the Relationship Invoicing™ roadmap. The relationships with your customers are often deeper than the recurring nature of most subscriptions. Sometimes you’ll negotiate a professional services fee to implement a special integration just for them. Or sometimes you might agree to sell a customer a case of that wine they loved from last month’s wine-of-the-month club. For these types of non-recurring transactions, we are pleased to introduce one-time invoices! With one-time invoices, you can add as many lines as you need, with whatever items, quantities, and prices you choose, as well as any applicable taxes. Everything is editable, all the way down to the memo at the bottom. While you’re working on creating an invoice, it sits safely in a draft state. When you’re ready to issue the invoice, you can email it over to the customer for review and payment, or you can simply charge the payment method on file. For more information on how to configure and use one-time invoices, check out our documentation. Every one-time invoice is accessible in the invoices view for any given subscription, and by viewing the Site-level log of all customer invoices. Once paid, one-time invoices are reflected in a subscriber’s balance and rolled up into Chargify’s Finance reporting. The one-time invoicing functionality lays the foundation for being able to edit line items for all of your invoices, automated recurring invoices included. Get ready to say goodbye to time-consuming adjustments and unnecessary ledger entries and corrections! We’ll keep iterating on our Relationship Invoicing™ enhancements to make them even more flexible, powerful, and user-friendly. Completely reengineering and redesigning how Chargify’s invoicing tools look and function has been a huge undertaking. Until now, availability was limited to a closed beta group that worked hand-in-hand with our product team to understand use cases, identify issues, and overcome obstacles. For more information on how to access, configure and benefit from Relationship Invoicing™, check out our documentation. 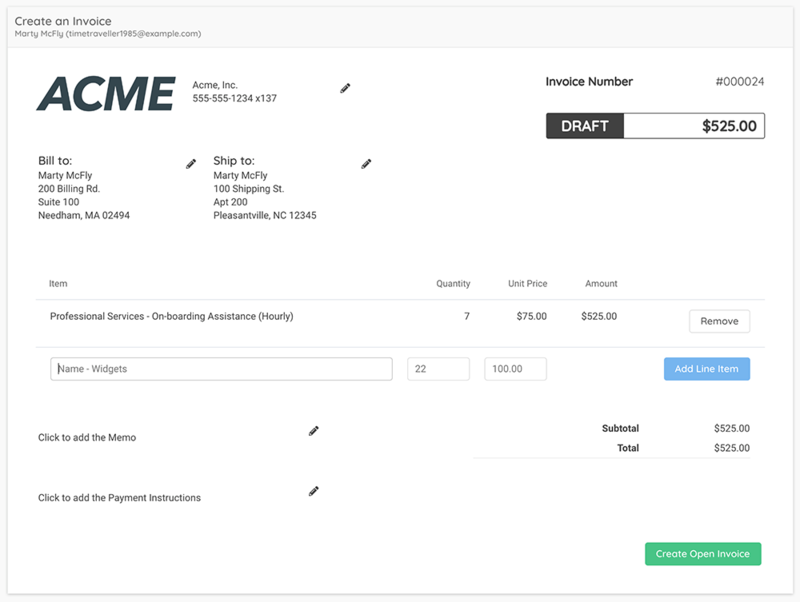 A completely reengineered architecture that we call “invoice-centric billing,” where the concept of separate invoices, receipts, and statements are unified into a singular invoice view. A completely reimagined set of workflows such as customizable email templates, hosted invoice pages, and expanded payment options. 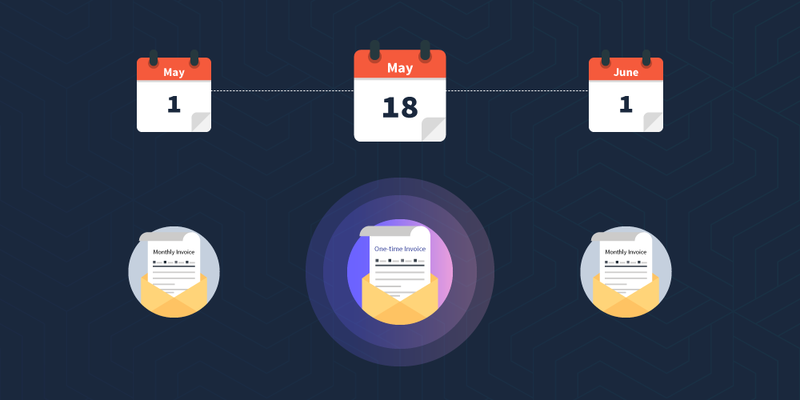 In early May, we launched Invoice Consolidation which allows merchants to group the charges from multiple subscriptions onto a single, consolidated invoice that can be paid in one transaction. And today we launched one-time invoicing to augment the recently released recurring automation workflows and opened the beta program up to all Chargify customers. Migration Path: Moving to the invoices-for-everything approach of Relationship Invoicing™ requires us to convert all of your existing statements and invoices over to the new “invoice-centric billing” architecture. We’re actively working on the migration path so exciting Sites can benefit from Relationship Invoicing™. Customer Hierarchies: Hot on the heels of Invoice Consolidation is Customer Hierarchies, which will allow you to define the relationships between your customers (i.e. different business units of the same global company) to consolidate and transfer invoice responsibility between the different entities. For example, individual franchises each have their own subscription that they control and manage, but the parent company is responsible for the total payment for all the franchisees. Stay tuned for many more updates to come. In the meantime, create a new Chargify Site and give Relationship Invoicing™ a test drive!